This week has been so busy that Friday sneaked up on me. As I was lying in bed in the state between fully awake and not quite sleep, it donned on me it’s Friday and I had not even prepared my weekly blog love post the night before. 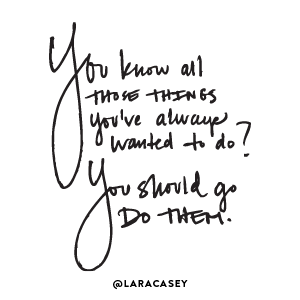 There tends to be so many things swirling around in head on my virtual to do list that a few things are slipping off. Online Interactions and The People They Represent by Trinia at Beginner Beans …a beautifully written post that reminds us to be mindful of the person behind the tweets, posts, and social media updates. Walking the Plank by Francine at Devotional Diva …about the fear we all face that no one cares. Snakebook and Other Human Distancers at Hallee the Homemaker …interesting article from her husband that discusses a husbands role and whether married men should be FB friends with women who are not their mates and vice versa. Reading My Last and Final Post at Modern Reject left me thinking about what it would be like to say so long to this space I have come to love so well. It also brought up memories of the many blogs I have seen come and go during these past three years. Join the party by sharing your favorite reads or writes this week. Hi Wanda! I loved Brian’s blog post on de-cluttering. I also can appreciate the cleaning out of old thoughts that literally ‘clutter’ up my mind. How do you find all these people? I love coming here and reading and meeting new bloggers. Wow! As always, Wanda, you bring us much good stuff. Reading “Modern Reject” reminded me of an old blog I wrote (http://swordofgoliath.blogspot.com/2010/04/goodbye-girl.html) on the importance and meaning of goodbye. Saying goodbye is not quitting. When done right, as “Modern Reject” has done it, there can be beauty and healing and power. Have a love-filled weekend. LaVonne recently posted..Time To Play!? LaVonne you know I don’t like goodbyes only because it’s often hard for me to say hello but there are times God calls us to close the door on good things. It makes me think of the ladies of Christian Mommy bloggers who sold their blog and seemingly at their prime. In their book they spoke of holding our blogs and things in general with our palms wide open. Yet they had no idea that God would call them to walk away from it. I read Walking the Plank – it was a great post for me to read, especially in light of the last week. Through all the crazy curveballs that life throws at you, our Heavenly Father never stops caring for us. Amen Sharon. We can definitely count on him. The post; My Last And Final Post was one that made me think. A lot. It’s a shame that so many good things done for the right reasons get filled in with the flesh. I’d never heard of her, but she sounds like she didn’t shy away from controversial issues. We all have our own style I suppose, I just hope and pray that as spokespeople for our Father that we do it in ways that bring Him honor. Nicole was one that was afraid to take the road less traveled for sure. I agree we each have our unique voice and have to follow God’s lead. I’m grateful for spaciousness……soothes my soul. We’re in such good hands no matter what. Jennifer Richardson recently posted..True as the trees…. My thoughts are rambled these days so I am in need of some mind declutter. You are so right He always aware just where am I even when I am not. Wanda – You succeeded again in bringing me 5 posts that I had not yet read. Each of them were very good! Thank you for pulling together this list for us each week and for hosting the linkup. Have a blessed weekend! My pleasure Joanne. Always a joy to have you join me. I was so sad to read Nicole’s final post, Wanda. I really loved her blog,but I understand fully why she made the decision. Trina was on point about cultivating the real relationships rather than depending on technology, and Brian is right up my alley re: decluttering. The mind is the first place that needs an overhaul! So was I Alison. Nicole has such a unique voice in the blogging world but we each must follow where God leads us. Each of this weeks posts sound good. I think I could benefit from decluttering both my mind and home too. Pray that you will have blessed Lord’s day. Me too Susan. I don’t know why I insist on clinging onto some of the things I do. Hope you have a great week! Always thankful for the links. I’ve read 3 goodbye posts from bloggers I follow this week. And I’m on a break. Well, hopefully the break will keep me for shutting down entirely. Have a beautiful week my friend. Wow three just this week. It seems more and more bloggers are calling it quits. Hope you enjoy your break Barbie. It seems the demands of life are calling me take longer pauses between my actual posts these days. I’m having to learn to not to fight the change in rhythm.